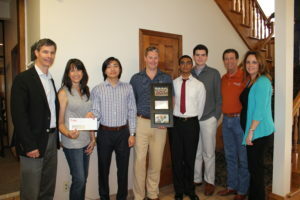 Central TX Table of Grace – Stacy Johnson – http://centraltexastableofgrace.org/ – Received a $3,000 grant. Stand Up 8 – Jen Reichert – https://standupeightatx.org/ – Received a $1,500 grant. 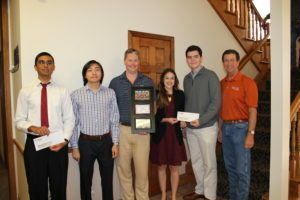 All of this would not be possible with out the generous contribution and partnership with Wells Fargo & James Weber – Their grant of $10,000 to RR ChangeMakers helps the youth of Round Rock make an impact in their local community. Thank you to Mike Odom & Staff of the the Round Rock Chamber — for their continued partnership with Greater Round Rock Community Foundation in allowing us to use the Boardroom. 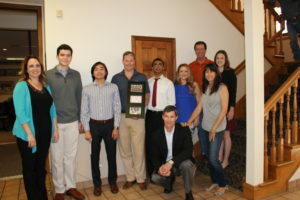 The RR ChangeMakers and Greater Round Rock Community Foundation appreciate Mike and his staff for their constant professionalism and dedication in giving back to the local community. Thank you to our Board Chair – Nyle Maxwell and our Greater Round Rock Community Foundation Board of Governors for their continuous support of our Round Rock ChangeMakers Giving Circle. We hope to continue this legacy for many more years. 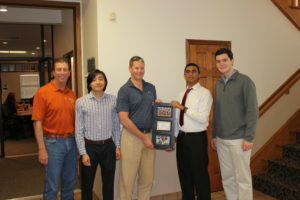 The RR ChangeMakers and Greater Round Rock Community Foundation Staff.